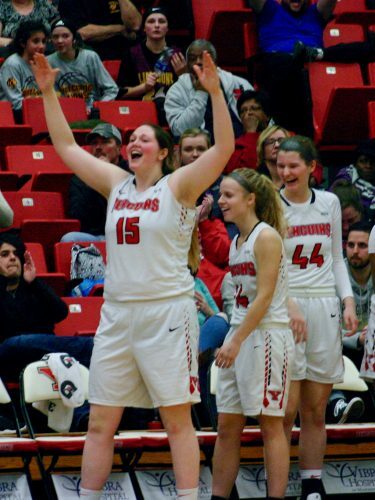 The Youngstown State University women’s basketball team faced one of their toughest battles of the season and rose to the occasion, defeating the Horizon League-leading Wright State University, 83-68. The win snapped a two-game skid for the Penguins (12-5, 4-2 HL) and a six-game drought against the Raiders (13-4, 5-1). Defensive stalwart McKenah Peters continued her reign of terror. She tied her career high of 17 points, and made her case for the Horizon League All-Defensive Team. Peters scored 14 of those 17 points in the second quarter. She also grabbed five rebounds and stole the ball three times. Penguins coach John Barnes had high praise for Peters, crediting her for her strong first half performance. Cash and Smolinski each put up 22 points in the win. Smolinski kept the 3-pointers coming, draining four more to push the all-time high even higher. Cash continues to quietly rack up the numbers each and every game. In addition to her 22 points, she also shot 57 percent from the field during the game and grabbed three boards as well. Wright State proved to be one of the most physical teams the Penguins have faced thus far into the season. 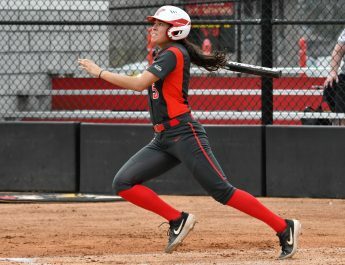 The Raiders had a size advantage, but YSU matched them in aggression, battling them at every turn. Wright State’s leading scorer Angel Baker scored 27 points off the bench for the Raiders. Chelsea Olson summarized the game with one shot. Olson hit a 3-point buzzer beater while being double teamed to end the third quarter and gave the Penguins a 62-43 lead. With seven minutes left in the third quarter, the Penguins took a 50-30 lead and didn’t let up, keeping their lead to at least 12 for the rest of the game. While fatigue undoubtedly set in, the team made sure they kept their foot on the gas. The Penguins don’t get long to rest, as they take on Northern Kentucky University on Sunday at 1 p.m. at Beeghley Center.